The city of South Kazakhstan oblast. 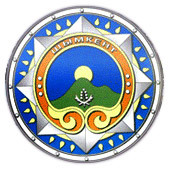 Shymkent (also spelled Chimkent, Cimkent) is a city located in southern Kazakhstan, in the valley of the Sayram River at the foothills of Ugam Range at an altitude of 1,680 feet (512 m). June 19, 2018, by decree of the President of Kazakhstan, the South Kazakhstan region was renamed to Turkistan, and its administrative center was moved from Shymkent to Turkistan. 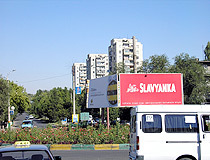 Shymkent was removed from the South Kazakhstan region and received the status of a city of republican significance (a separate administrative unit, equal to the region). 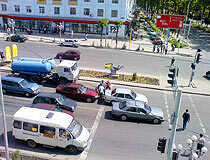 Shymkent has the population of about 1,011,000 (2018). Shymkent phone code - +7 7252; postal code - 160000. 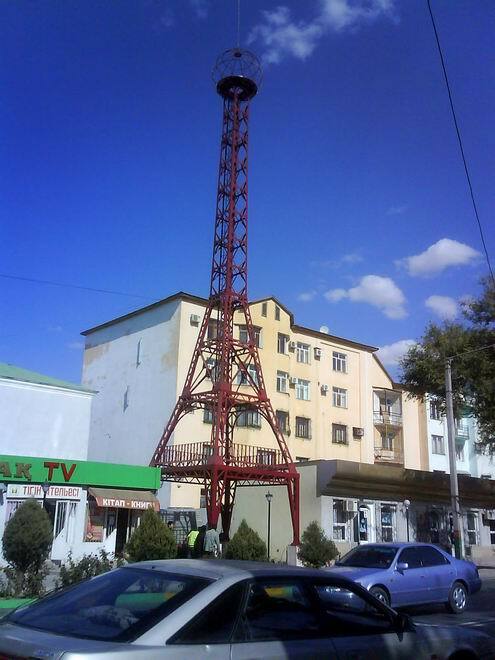 Local time in Shymkent city is April 19, 4:23 pm (+6 UTC). 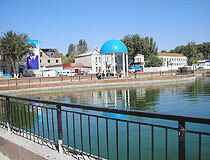 The settlement in the area of current Shymkent existed at the edge of 11th-12th centuries. 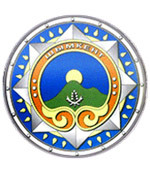 There is a hypothesis about earlier formation of Shymkent. The idea is based on archaeological excavations in which some burial places were found and specialists refer them to 5th-6th centuries. For centuries Shymkent settlement was devastated by aggressive invaders. In early 13th century Genghis Khan’s army went through Sairamsky oasis which became a part of the territory belonging to the conqueror’s descendants. In the 14th century, Timur included it into his state as a result of successful military actions against Ak Horde and Golden Horde khans. In the early 16th century, Shymkent became part of Kazakh khanate, later within the 17th-18th centuries it was invaded by Dzhungar conquerors. In spite of numerous wars badly affecting the population Sairamsky oasis remained a region of developed agriculture, gardening and handicrafts. At the end of the 18th and the first half of the 19th century, Kokand and Bukhara khanates struggled for possessing Shymkent. In 1810-1864s, the town was a military camp-fortress ruled by Kokand with a numerous army and a khan deputy’s residence. 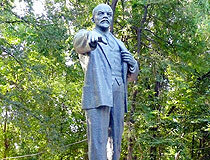 In 1864, Shymkent was successfully attacked by Russian army and became an important transit point linking European part of Russia and Western Siberia with Middle Asia. 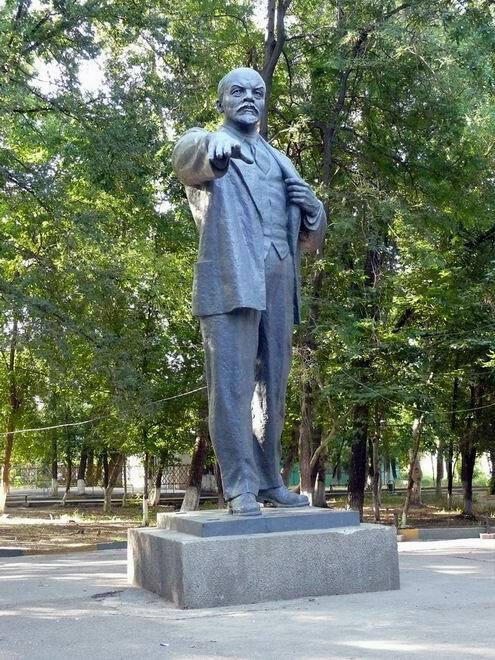 In 1914, in commemoration of the 50th anniversary of Kazakhstan’s joining Russian Empire, the city was named after Russian general Chernyaeyv, but in 1924 its ex-name was returned to the city. 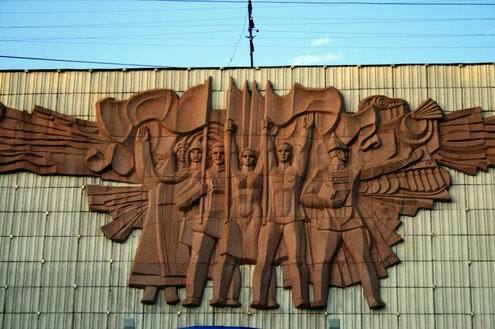 In 1930s a lead plant was constructed in Shymkent city. 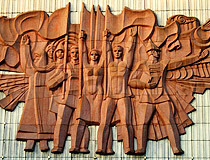 It produced 70% of all the lead made in the USSR. 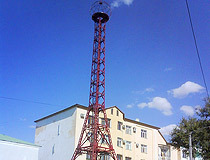 During World War II 17 industrial plants were evacuated to Shymkent. 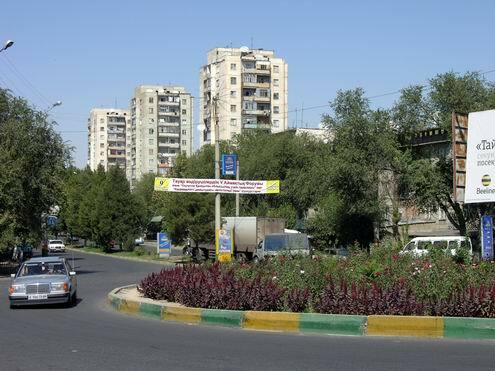 After the war, in 1950-1980s the city economy was growing rapidly. 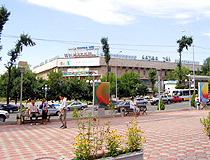 Today, Shymkent is the third largest city of Kazakhstan and a major industrial and cultural center, as well as an important railway junction. 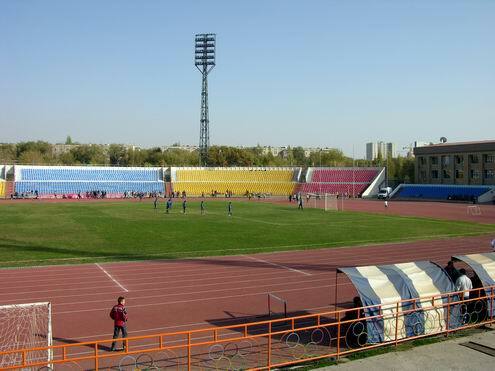 Shymkent city has large lead, automatic press, and cement works, with chemical (processing phosphates from Karatau), food, and light industries. 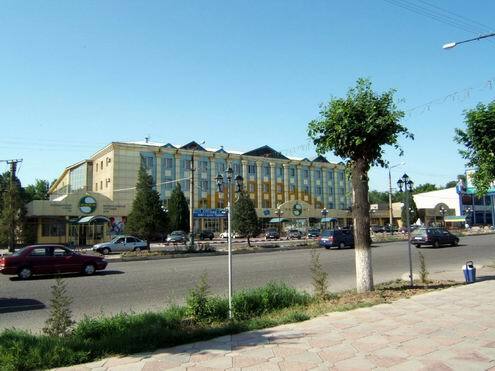 Shymkent is a good place to stop to explore ancient cities of Otyrar, Turkestan and Sayram. 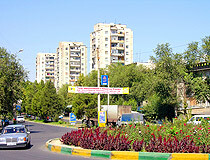 Shymkent is the city with a high proportion of Kazakh population. Under Tamerlaine’s reign Shymkent was the most powerful trading center of Kazakhstan, an important staging post on Great Silk Road. 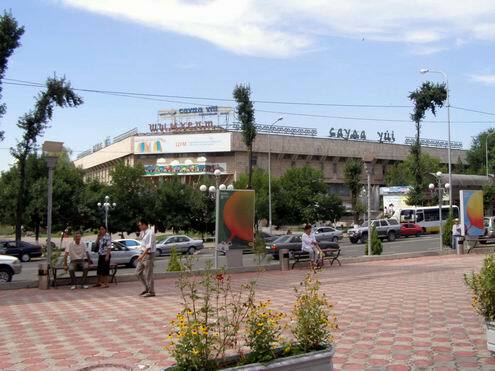 Located near the border with Uzbekistan, Shymkent city still engages in trade and has a booming bazaar open from 8 a.m. till 8 p.m. Shymkent is a good stopping place between Tashkent and Almaty also as a jumping-off point for Otrar, Turkistan, and Aksu-Zhabaghly nature reserve. There are 8 parks in Shymkent city, 3 of them were formed in mid-19th and early 20th centuries. There is a philharmonic society named after Sh.Kaldayakov in the city. Unique exhibits of the epoch of Kangyui State are exposed at the regional museum of local study founded in 1920. An old Asiatic quarter still remains in the city. A park named after Abai, a water park, an ethnographical park “Ken-baba” are very popular among children and grown-ups. 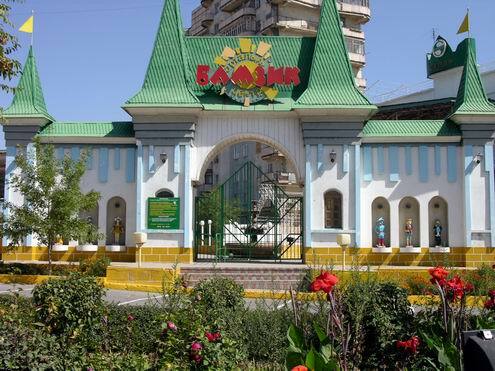 There is a children’s railway 6 km long which links the northern part of Shymkent city with an arboretum, a zoo and a hippodrome. 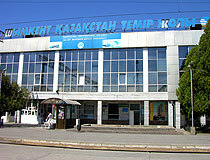 There are the following theaters in Shymkent: South Kazakhstan regional Russian drama theater, South Kazakhstan regional Kazakh drama theater named after D.Shanin, Opera and Ballet Theater of South Kazakhstan oblast, Satire and Humor Theater of South Kazakhstan region and Puppet Theater of South Kazakhstan region. 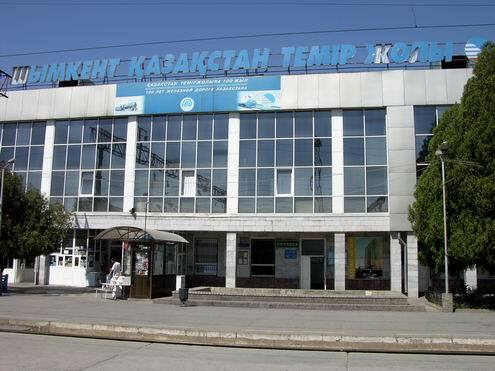 Shymkent has been attracting travelers and scientists for a long time. 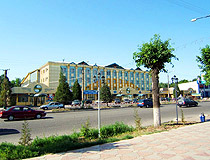 As the city is the regional center of South Kazakhstan oblast all tourist routes start in the city. There are such types of tours as historical places, exotic places, hunting and fishing, mountain tourism. 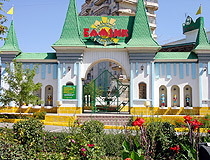 In South Kazakhstan there are saint places and architectural constructions which are visited by pilgrims.